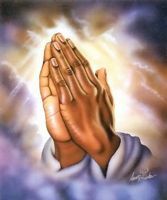 Dear Lord, please bring my friend Elizabeth back to the friendship if it is your Will. She is very upset at me and is cold towards me for no reason. Speak to her heart and restore our friendship. I am deeply hurt by what she has done but will forgive her. I want to know the truth what happened, she will not talk to me. Show me the truth dear Jesus, so I know if this friendship will benefit my soul Amen.